The Pikku-Malla fell, as seen from Siilasjärvi. There is a lake called Siilasjärvi several hundred meters away from the array. 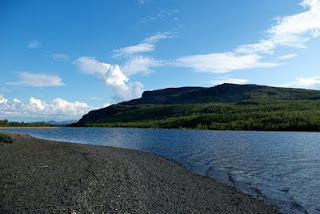 On this lake, the water is crystal clear, with a shallow sandy beach and a spectacular view to the neighbouring fells Saana and Pikku-Malla. On the day that we went down to the lake, there were also several young merlin on a lookout for lemmings. 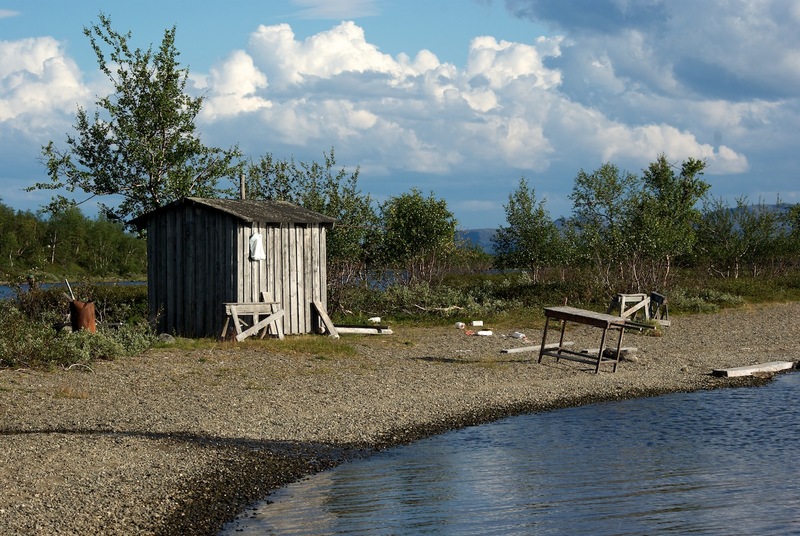 A small hut storing fishing nets on the shore of Siilasjärvi.